We’ll give you the good news first. It looks like Paramount is looking to harness some Turtle Power in their upcoming film slate. 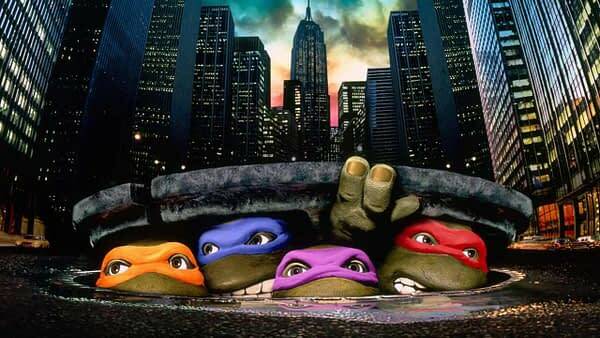 The studio is planning to “relaunch” the Teenage Mutant Ninja Turtles franchise, according to a report from THR. Now the bad news. Michael Bay’s Platinum Dunes will produce the new film, just like the previous two Turtles movies, so we can by no means guarantee that your childhoods will be safe. However, the film will have a new director and a fresh start, with the studio hoping that can “bring a patina of quality” to the franchise. Bad Words screenwriter Andrew Dodge will write the script for the Turtles relaunch. Created by Kevin Eastman and Peter Laird as a comic book in 1984, the Turtles went on to spawn four animated shows, six feature films, dozens of video games, a live-action series, a live musical tour, and more. Oh, and they sold a veritable buttload of toys too. However, the franchise peaked in the early nineties, and rightsholders have been chasing those glory days ever since. Is Vanilla Ice doing anything? Maybe this Turtles reboot will be the one that pulls the world back into the grips of Turtlemania. If not, though, there’s always the next one. And IDW’s current ongoing comic book is pretty good, if you need a quick fix right now. Monster Prom Adds New DLC with Its "F*ckin' Hot Update"